Advantages: Excellent format; contains previously unpublished photographs; written by knowledgeable authors; superb colour artwork. Conclusion: A publication that provides exceptional coverage of a broad range of Luftwaffe subjects. 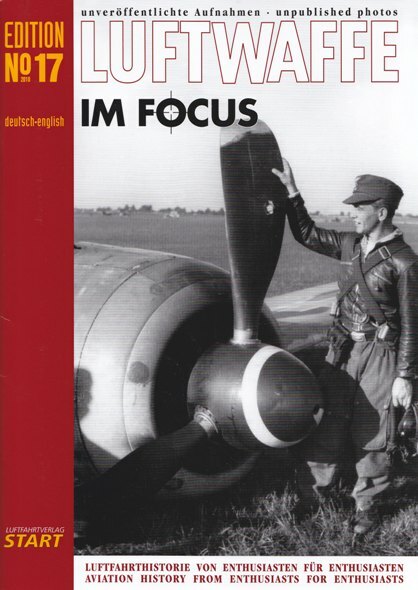 Issue 17 of “Luftwaffe Im Focus” is upon us and it’s filled with the usual interesting assortment of articles. There are 48 pages between the soft card covers with the bilingual text being split between the English and German languages. The publication is divided up into a regular series of chapters, with each one concentrating on a specific topic. Of the 52 period photographs presented, 3 are in full colour. As before, we find a selection that are published here for the first time and complimenting these are a couple of maps and 5 pieces of superb artwork from Claus Sundin. The large A4 format works perfectly for this type of publication as it allows both text and images to be presented in a well laid out and uncluttered fashion. The Reader’s Forum starts the ball rolling with a humorous look at how a cut-up 800 litre drop tank can be used to answer the call of nature. These so called “thunder boxes” are revealed in a couple of images from the North African Theatre and will no doubt lead to some “out of the ordinary” diorama ideas! After an interesting selection of photographs, which feature Bf 109s, Me 110s, Fw 190s, Ju 88s, and much more, we get the equally popular range of structured themes. Tails – A detailed look at the victory markings found on the tail and rudder of Lt. Wilhelm Beier from 10./NJG 1 and Fw. Alfred Miksch of 8./JG 1. Personal Emblems – This issue examines Lt. Walter Köhne’s “Satan” marking found on his Bf 109 G-14/AS. We also find out the real meaning of “Uschi” that appeared below the cockpit of his Fw 190 A-5. Colour Photos – Here we see a rare colour image of a Ju-87 taken immediately after a forced landing in May 1940. This is accompanied by a map of the proposed area of impact. Aircraft in Focus – This is a comprehensive look at an unusually finished Bf 110 G-4 of Major Helmut Lent, Kommodore of NJG 3. This aircraft is photographically documented here for the first time and is complimented by some outstanding colour profiles. Unknown Emblems – The “Eagle over the Globe” emblem of IV. 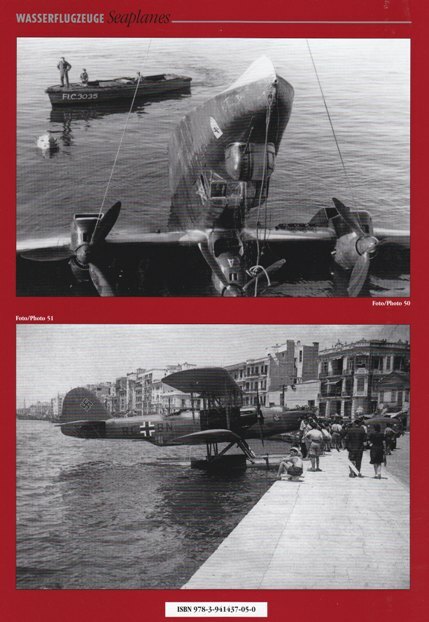 Fliegerkorps’ utility flight is illustrated in colour and can be seen on a Klemm 35 as well as a Fi 156 “Storch”. Photos with a story – No less than 12 pages are devoted to the operational use of the 50mm Cannon by II./ZG 26 “Horst Wessel”. Their Me 410s were used in the defence of the Reich during 1944 and the article explains the continued use of this weapon despite the many problems it presented. Scenery – Soviets images show the remains of Hs 129 B-2s and -3s that were blown up shortly before Tonndorf airfield was captured, 50 kilometres NE of Posen. Fate – The final chapter in this publication looks at the death of Hptm. Johann Zemsky of II./St.G. 1 who was killed on his 601st mission. There is plenty here to interest the Luftwaffe fan. The photos will be new to all but a selected few, and their reproduction is as good as the original images will allow. The artwork is first-class and perfectly complements the related article. Clearly this is a book compiled by enthusiasts... for enthusiasts.